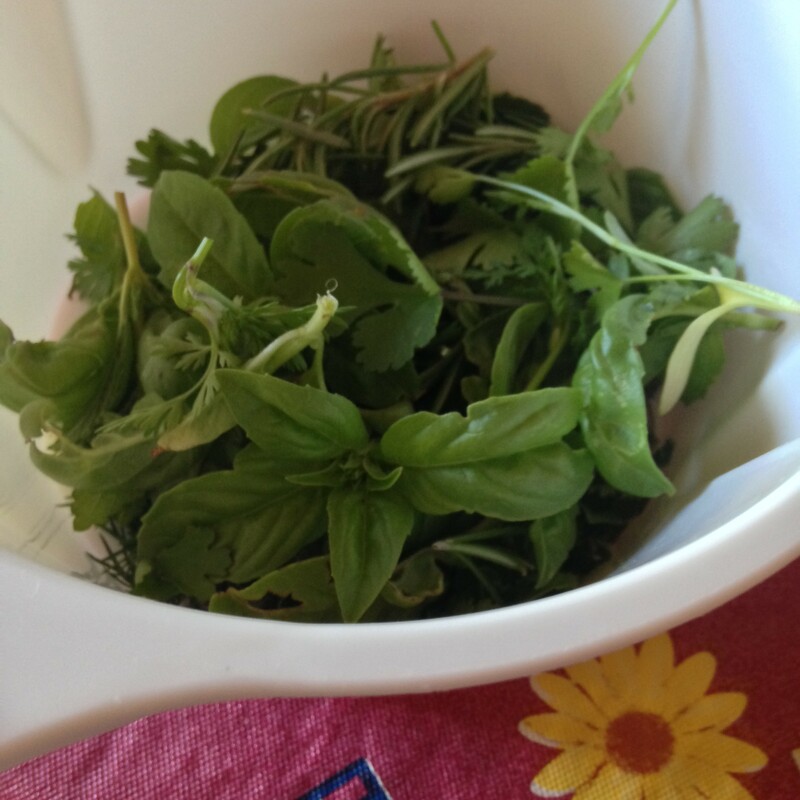 Kitchen garden herbs are a delight to cook with. They make the best marinade for grilling. Season vegetables and salads with them. Blend them with olive oil and Balsam Vinegar to dip bread in. The herbs are growing fast. I walked through the garden the other day, pinching off a good bit of each one to use for marinating chicken and steak for the grill. A thought, more like a picture, flashed through my mind. Herb, olive oil and Balsamic vinegar to dip bread in. Yum! Rinse, chop fine, put into a small dish. 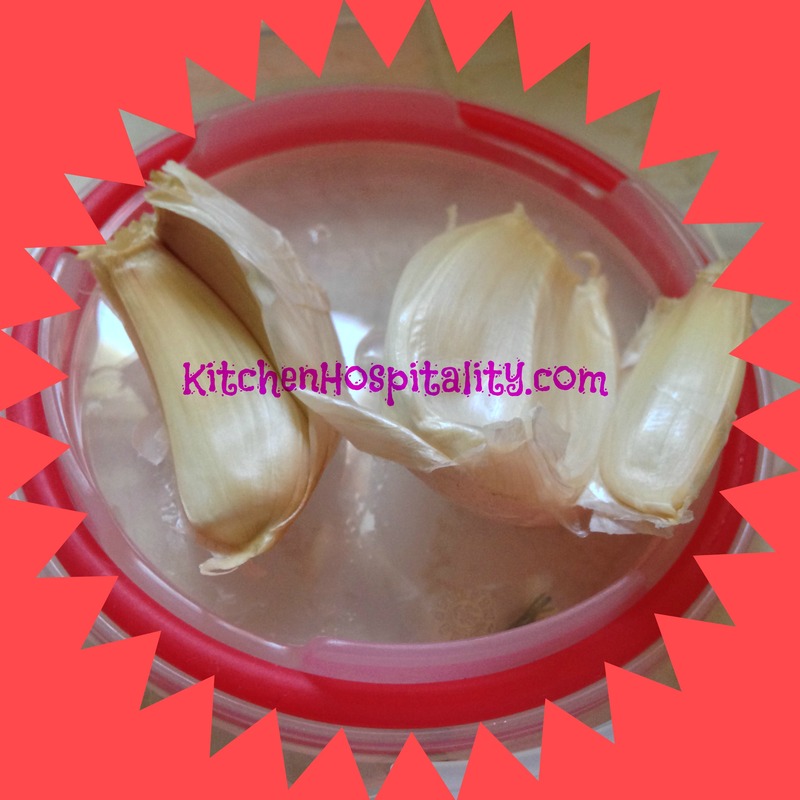 Add some finely chopped garlic cloves (optional) to the herbs. 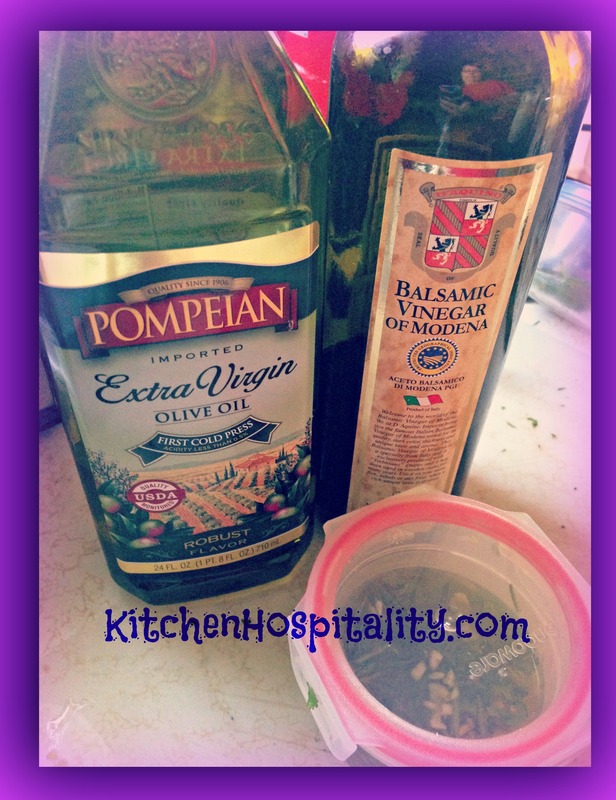 Pour the olive oil and Balsam vinegar over the herb mixture. Toast bread. Melt butter and spoon some butter onto the toast. Dip the toast – oooh lala! It’s a quick and easy bread dipping recipe, and you can come up with your own version just by changing up the herbs. Make a large quantity and fill an oil dispenser. Dipping hot bread into an olive oil and herb mixture is a delightful way to begin the first course of a meal. Of course, Italian cuisine comes to mind when deciding on the second course. Salad? Sounds good. Parmesan chicken and Fettucini would make a good choice for the main course. Should there be room for dessert, I’ll vote for mango cheesecake. I’ll be visiting “Full Plate Thursday” and “Whats For Dinner Next Week” from mizhelenscountrycottage.com which makes meal planning very easy with all the delicious-looking recipes. This Bread Dip looks awesome. Thanks for sharing your delicious recipe with us at Full Plate Thursday, hope to see you again real soon! Thank you, Miz Helen! I’ll be back soon to see what’s cooking over at Full Plate Thursday!